Today we took down what remained of SIMPLE camp - disassembling the Bot House, loading everything into crates, and hauling things off the ice in sleds. It was amazing how many details there were, how many different things had to come together to make this project work. Dismantling it all was a reminder of everything we had put together in the past few months, all of the hard work and support that got us here. We had been having glorious sunny weather for the past few weeks, but today the wind and chill picked up again, as if even Antarctica was bidding us farewell, saying "Remember who I really am!". We especially want to thank all the USAP personnel who helped us during this project. From the carpenters who built and un-built our camp structures, to the divers who helped us with underwater logistics (and rescued us), to the Fuelies who kept us warm and resupplied with fuel, to Fleet Ops who had our back for all heavy lifting needs, to the stewards in the galley who kept us well fed - truly we could not have done any of it without all of you. Also a huge shoutout to Dave Matson, our project mechanic from the MEC. You kept our camp running even when nothing else would. 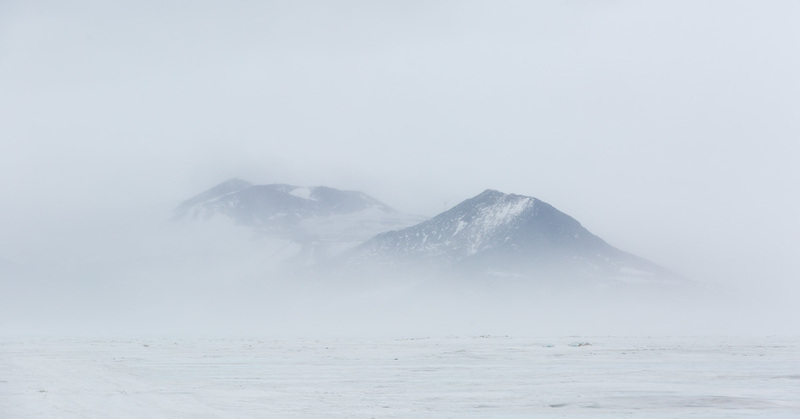 One last view of Ross Island and McMurdo Station from SIMPLE camp. (Photo: Evan Clark). Today was a bittersweet day, as it was ARTEMIS' final mission of the season. The sea ice conditions dictate that we must be completely cleared off the ice by Friday morning. After our previous long sea ice mission, we only had about 4.4 km of fiber remaining – not enough for another long mission. 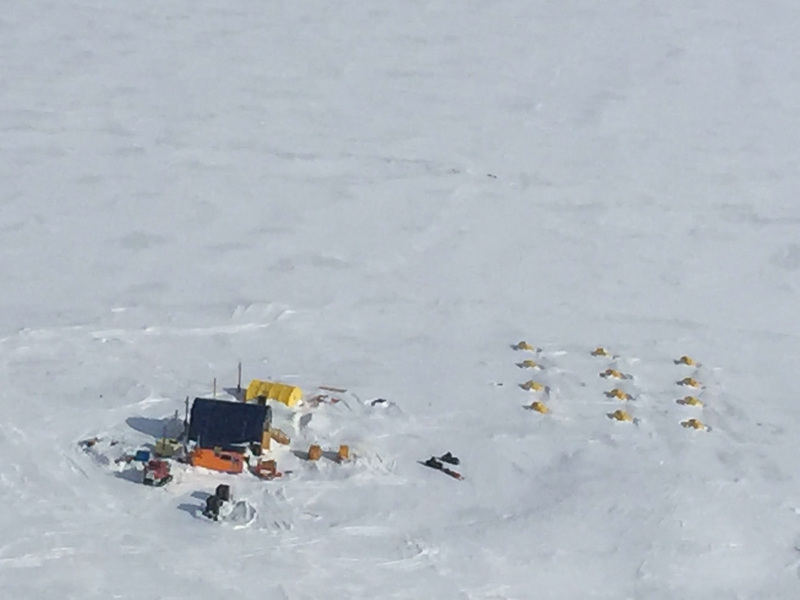 So we decided the best return on our remaining resources would be to conduct one last mission on the safety line investigating the sea ice / ice shelf transition in detail, which is well within our 1 km on-safety-line operational radius. For those who need a refresher, an ice shelf is glacial ice that formed on land and flowed off the continent to float on the ocean. The portion that is still on land is called the ice sheet, and the portion floating on the ocean is the ice shelf. Ice shelves are much thicker than sea ice, and their buoyancy helps support the weight of the ice sheets (glaciers) on land. This is why people are worried about them melting – if an ice shelf collapses, all the glaciers it holds up are free to slide into the ocean, which could raise global sea levels significantly in a short amount of time (meters, in the case of the West Antarctic Ice Sheet). It is a common misconception that melting icebergs raise sea level, but this isn't true. Try putting a piece of ice in a glass of water and letting it melt - it doesn't change the water level! What scientists are worried about is new ice entering the ocean because the ice shelves are no longer holding up the ice sheets. Sea ice is ice that formed from the ocean itself, and is much thinner than an ice shelf. Sea ice more or less melts and reforms every year with the seasons (there are some places with multi-year sea ice that does not melt completely). 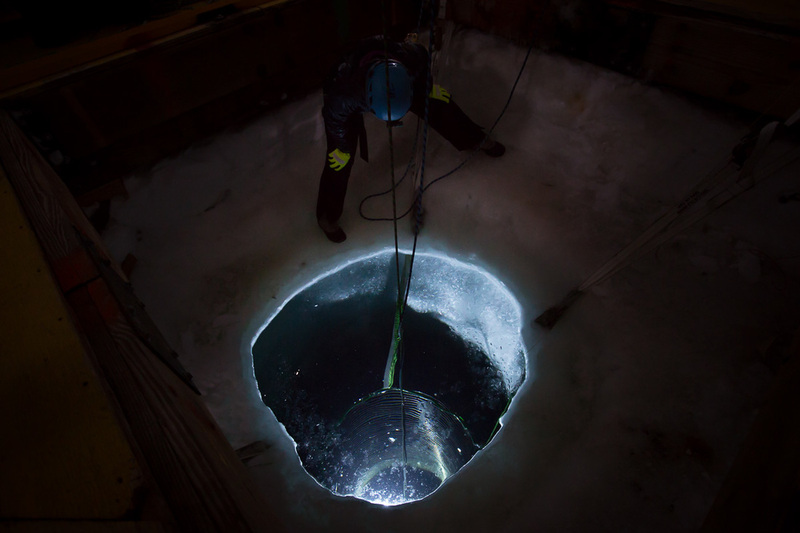 Our camp is on sea ice so that we can more easily drill through it to give ARTEMIS access to the ocean beneath, but this also means our season must end once it is no longer safe to be out and about on the melting sea ice. We really don't want to fall in! We conducted several zig-zag transects across the ice shelf transition with water samples along the way. Some of these transects were as close as possible to the ice ceiling to gather fine-grained sonar and imaging data, and some were further away to gather “patch tests” to help us determine the precise physical misalignment between the robot's navigational center and our acoustic mapping instruments, which will help us improve the quality of our maps in post-processing. I really enjoyed this mission because I got to fly ARTEMIS super close to the ice with challenging topography, Mark was stoked about the patch test data, which he has been thinking about for years, and Britney was excited about all the ice interaction science. We were all fascinated by the fact that this and every other time we have passed the transition, we have seen a huge abundance of wildlife (fish, shrimp, jellies) hanging out here compared to other places. Why do they like it here? We don't really know. But understanding why might help explain some dynamics of ecosystems in ice-covered environments, which in turn could inform our search for life in Europa's ocean. 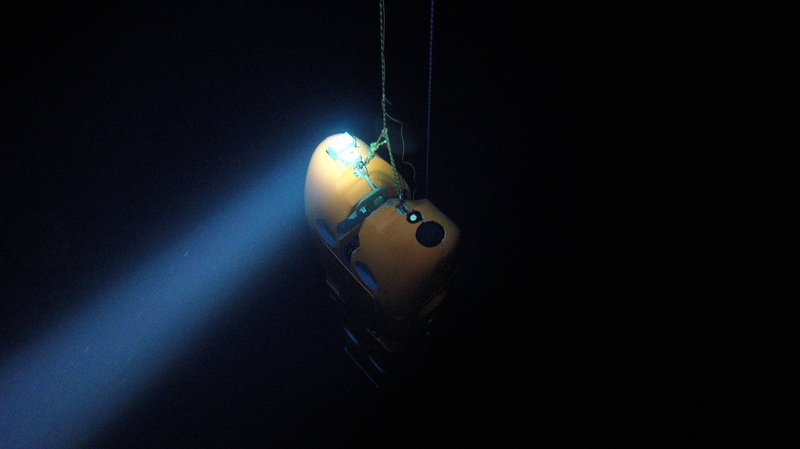 A last view of ARTEMIS under the sea ice near the borehole during the final mission. (Photo: Bill Stone). The next few days will be tearing down what remains of camp, hauling it back to town, and starting the long packing process to ship it off the continent. Brian, Luke, and I leave on Thursday, and most of the rest of the crew leaves on the 17th. We'll miss this place, the people, the adventure, and the beautiful things we've had the opportunity to witness through ARTEMIS' eyes. I was able to post most of my most interesting photos from the field... with this major exception. 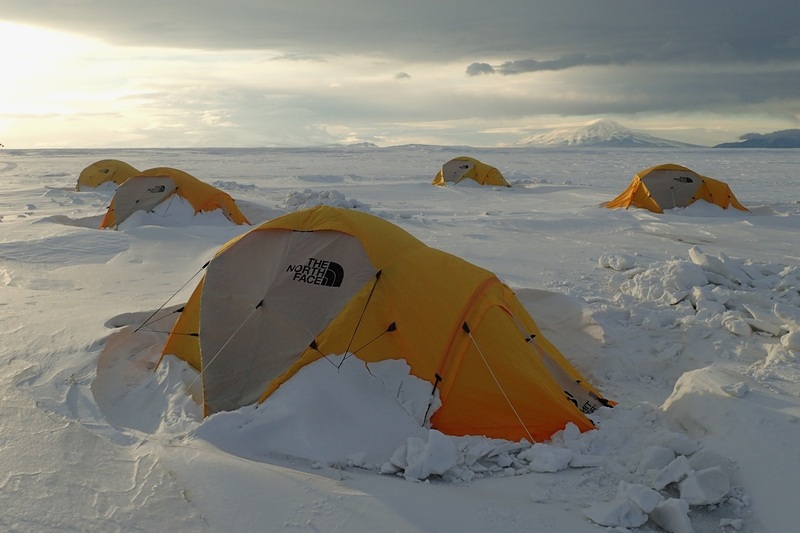 One day back in September, before ARTEMIS was on station and before SIMPLE camp was fully established, John and I rode with Kevin and Gretchen to the ice edge to north of McMurdo. Kevin and Gretchen are plankton researchers who collect samples at the ice edge regularly. 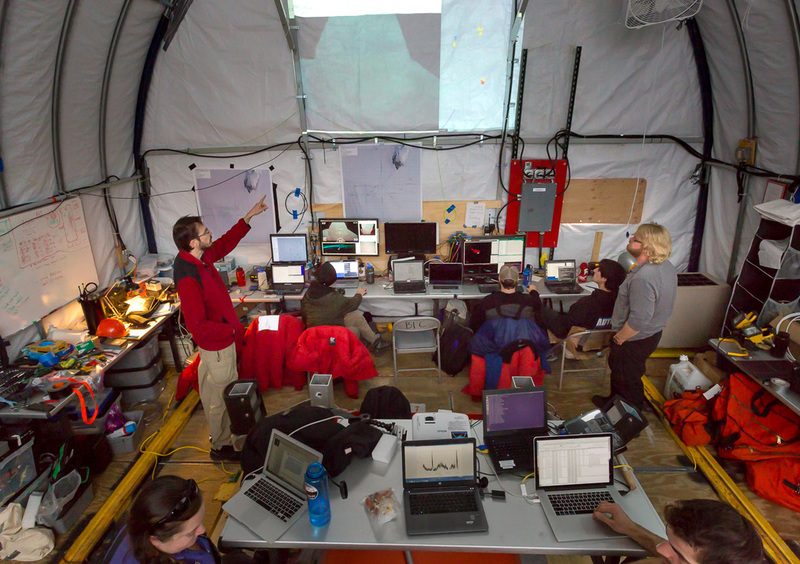 We took the opportunity to ride along with them to record the locations of the ice edge and nearby hazards in case they became relevant in an ARTEMIS "armageddon scenario". The sky was overcast in a slightly spooky way, but visibility was still good, and the terrain was breathtaking. We drove along the Cape Evans Route past the Dellbridge Islands, past an iceberg frozen into the sea ice, to the sea ice edge at the foot of Barne Glacier. The day was remarkable, but I didn't get the chance to process the photos and put up a post until now. 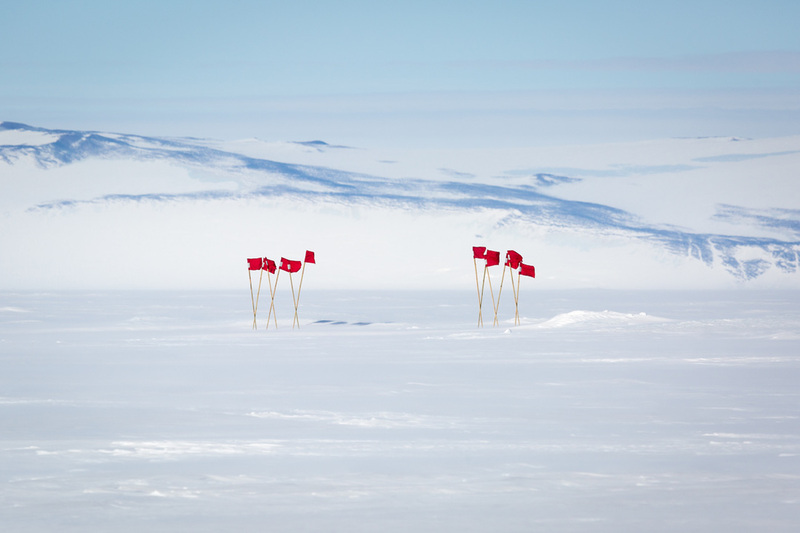 At the ice edge, John and I were recording positions and Gretchen and Kevin were debating whether to deploy their sampling gear in the growing winds when three black dots appeared at a distant spot on the ice edge and began heading straight for us - Emperor Penguins. I took some photos as they approached us, looked at us and our Pisten Bully for a few minutes, and then moved along to other penguin business. Before heading home, we looked east at the beautiful Barne Glacier - water that has been frozen solid for 2000 years (i.e. since the time of Christ) flowing down the slopes of Mt. 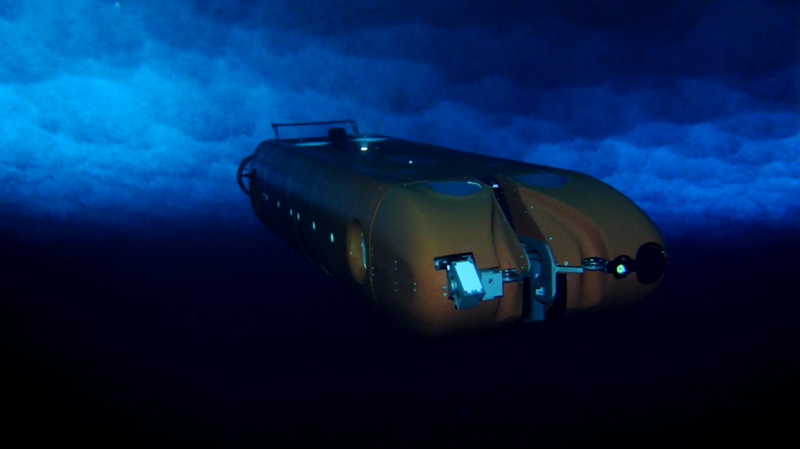 Erebus and into the Ross Sea. The glacier ends in a mind-bending ice cliff with Weddell seals hauled out on the cracked sea ice at the bottom. 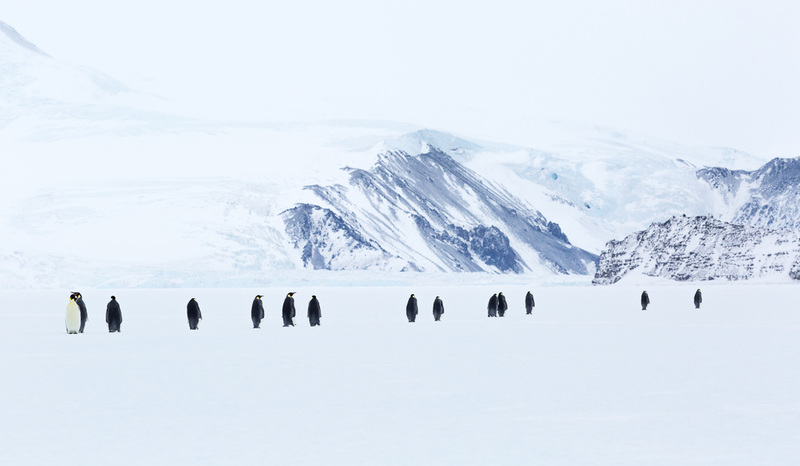 On the way home, we had to stop as a group of around 15 Emperor Penguins crossed the route, marching over the sea ice toward Hut Point Peninsula on Ross Island. We are nearing the end of our field season. The ice is getting thinner, and soon it will not be safe to drive vehicles out onto the sea ice because of the danger of falling through. We've had a run of warm and sunny days in the last week, and it's amazing how fast the ice changes since it's daylight 24 hours. We are now driving over potholes filled with water, and it is especially pronounced near the transitions from sea to land, where the pressure of the ice hitting land causes fracturing, and fine volcanic particles tracked out onto the ice by vehicles leaving town darken the surface and accelerate melting. You almost need a helmet when riding in the Pisten Bully because you can be bounced right into the ceiling! Our camp takedown began on Saturday, when our fish hut was pulled off the ice, and the culvert below it was removed. Mel from fleet ops came out in his Challenger bulldozer to do the heavy lifting and hauling. 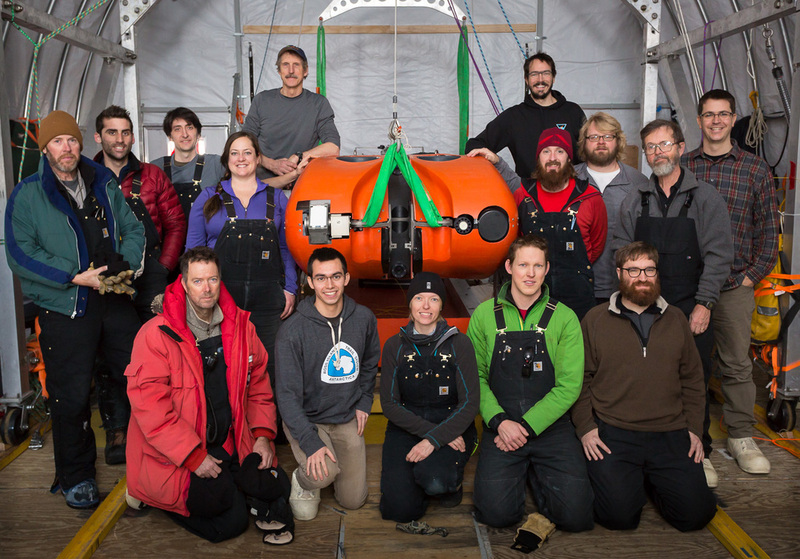 It's sad to see it go – this was our project's first portal to the world beneath the McMurdo Sound, and both Bill and Sunfish performed many successful dives through this hole. All remaining dives will go through the main borehole in the bothouse. Other structures and pieces of big gear are following piecemeal. The Tweety Tent (galley) will be removed on Tuesday. Everything else, including the bothouse, will be completely off the ice by Friday Dec 11th. We will run a few more missions in the meantime, but the sense is definitely that things are winding down. We also took down our tents, so no more sleeping out at the SIMPLE site. Goodbye, camp life, we'll miss your beautiful vistas! 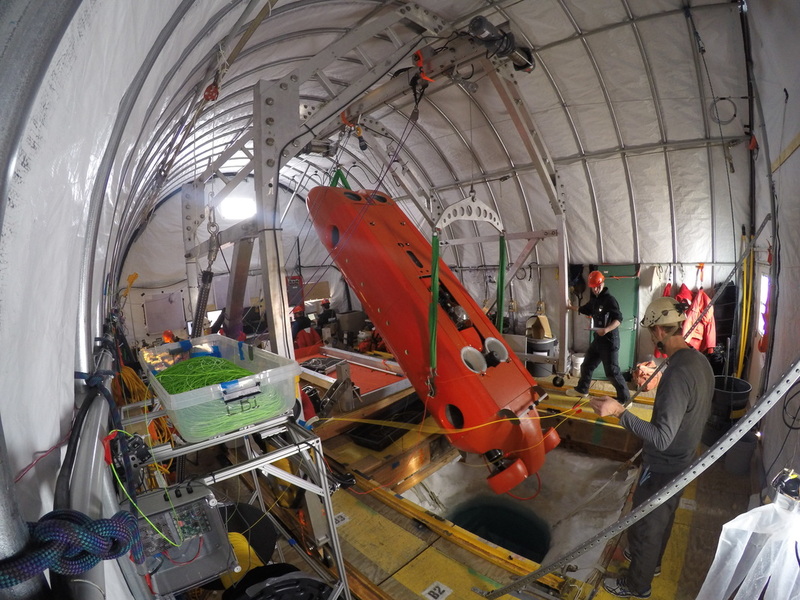 After Fleet Ops and the Antarctic Support Divers kindly rescued ARTEMIS during our previous sea ice mission run without a robot safety line, we had some long and difficult discussions about the conditions leading up to the need for rescue. Much discussion focused on an effect we had anticipated long ago, but had perhaps not placed enough importance on: the forces on the robot when a large amount of data fiber is payed out in the water. 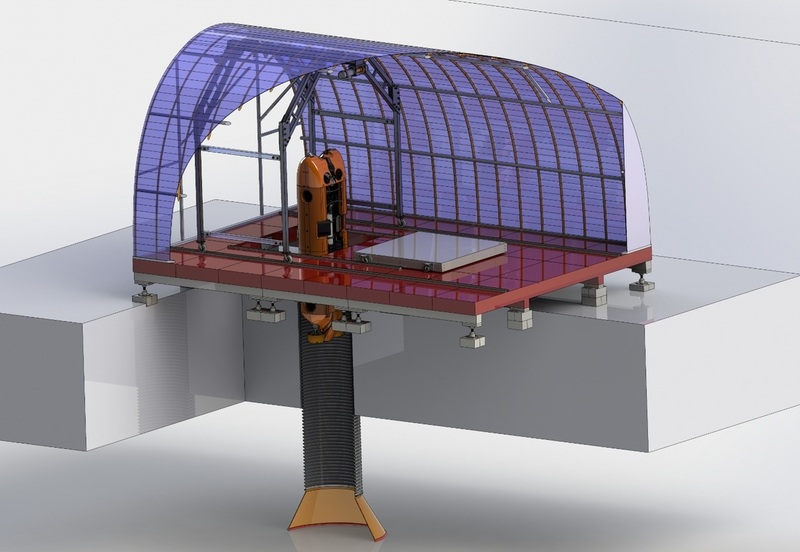 Even though the data fiber is incredibly thin, over kilometers of line currents can build up significant forces, yanking the robot this way and that, and even threatening to snap the fiber completely. ARTEMIS spools fiber out of its tail to try to isolate some of these forces, but the system is not perfect. 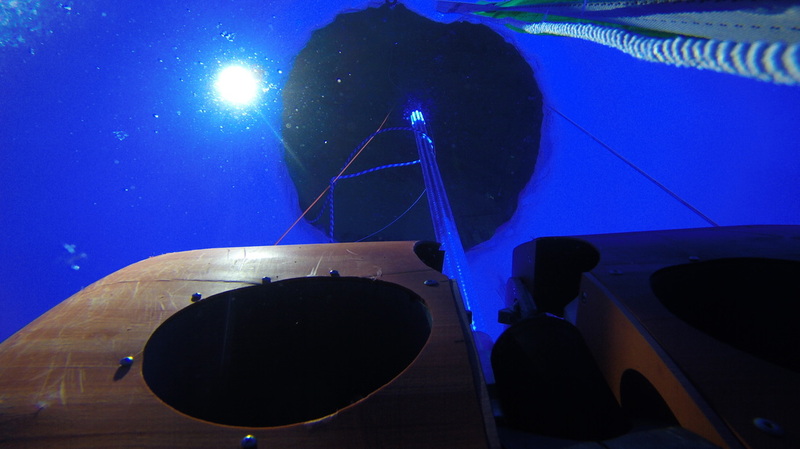 Additionally, the robot experiences a change in buoyancy and trim as more fiber is spooled out – the fiber is designed to sink to keep it away from gnarly ice “stalactites” we feared could tangle it on the ice ceiling during proximity operations, but this means that ARTEMIS tends to nose down and float upwards as fiber is removed (since the spool is at the rear). Hints of these effects had manifested themselves in our control instabilities during the previous sea ice mission (whose “fix” led to our need for rescue), but the tricky bit is that these effects had stayed minimal up to this point because all our missions using a safety line were confined to a relatively short 1km radius of the borehole (the length of the safety line). During a true 5 km mission, these effects could be much worse, but there was no present way to know how much worse without ditching the safety line and trying it. So we debated the dangers long and hard, but we decided the science was too valuable to not try – ARTEMIS would dive again off tether. Science is about exploring the unknown, and the unknown is risky. This is what ARTEMIS was made for. 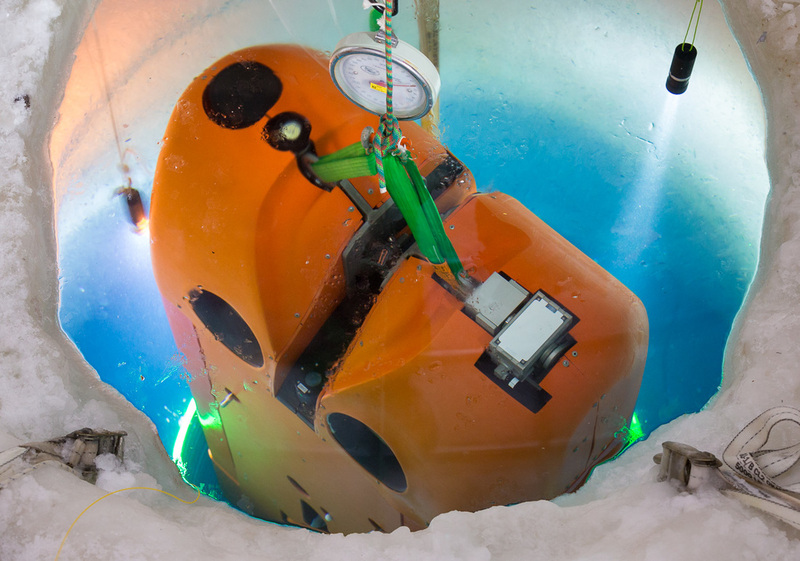 We decided to repeat the previous failed sea ice mission because we had already proven it was possible to rescue ARTEMIS under sea ice if it became disabled or lost, whereas under the ice shelf we had a larger chance of losing the robot permanently (the ice is too thick to drill). We set ARTEMIS out on the same track as last time. The objectives: Transect 5 km north of the borehole under sea ice at a ceiling standoff of 7 meters. Gather PAR (Photosynthetically Active Radiation), sonar maps, and other biological and oceanographic data along the way. At the 1 and 3 km marks, pause and rise to the ice ceiling so that the surface team could localize ARTEMIS using the magnetic beacon and ensure navigational accuracy with a GPS fix. At 3.3 km, approach closer to the ceiling and slow down to image the underside of Big John crack at high resolution using the sonars and the up-look camera. At the 5km mark, dive to 40m depth and perform a vertical upcast to the ceiling while taking water samples for later scientific analysis. 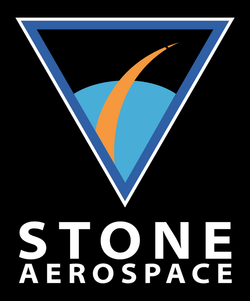 At any point, if problems arose satisfying our mission abort criteria, we would turn around and come home immediately. We had Fleet Ops and the divers on standby in case another rescue operation was needed. The journey outbound went extremely smoothly, and we had a slight tail current to the NE, so we moved along quite quickly, and our battery reserves were high. We stayed as close as we safely could to the ice ceiling to gather PAR data. 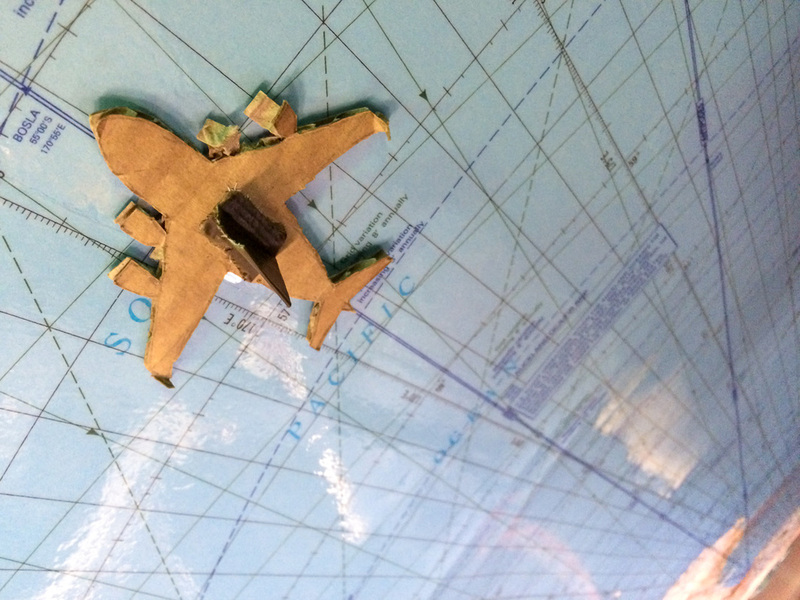 Our navigation performed admirably – each time we stopped to localize using the magnetic beacon, the surface team confirmed that our navigation error was less than 0.1%. On the way out, we missed Big John Crack because it looked underwhelming (the platelet ice had filled it in from below), so we drove past it thinking it was a smaller, less interesting crack. 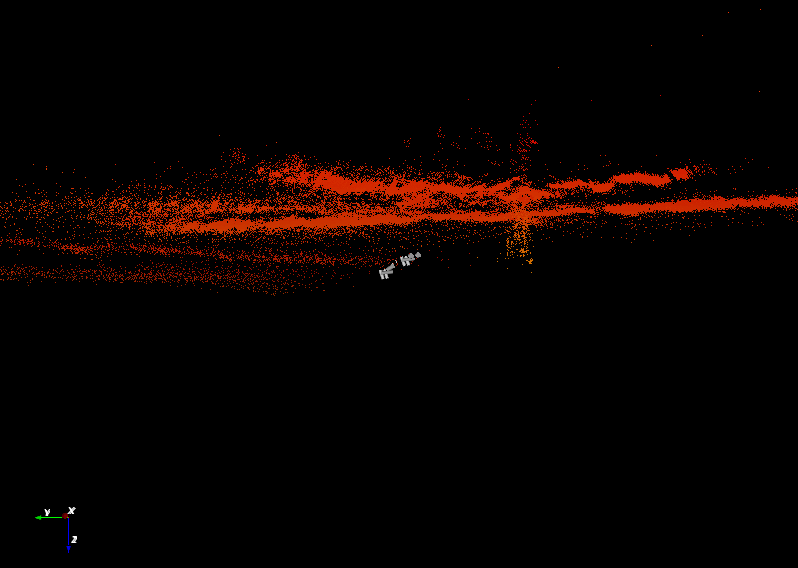 On the way back we did a good job of imaging it with our cameras and mapping it at high resolution with our sonars. 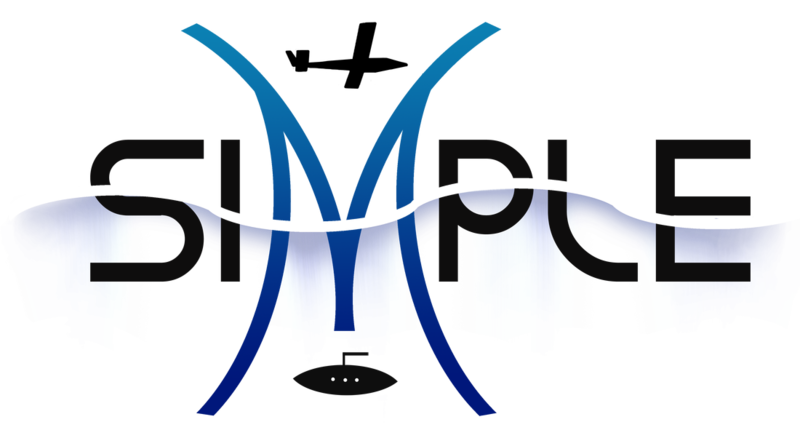 We are very excited to analyze all the data in more detail. Once we turned around, many of our fears about the fiber forces were confirmed. The robot started having control difficulties, so I took over driving manually with the joystick (an Xbox controller) as a precaution. At about 3km from home, things started getting really difficult to control because of fiber forces and buoyancy changes. The fiber tension on the surface was getting tighter and tighter, so we knew that the current/drag forces had gotten large enough that ARTEMIS was still spooling fiber during the return leg, instead of pulling back the fiber payed out on the outbound leg. We also knew that it was only a matter of time until this force became strong enough to snap the fiber. Next time, we should have fiber spoolers on both the surface and the robot. Finally, although it was fighting me the whole way, I was able to bring the robot back home and dock it to the docking bar, and we pulled it up the borehole with a great collective sigh of relief. No rescue needed this time. It was definitely the most stressful video game I have ever played... We cut the fiber on the robot side because it had too much tension to recover it, and a few minutes later, the surface side snapped of its own accord. Post-mission analysis showed that we had spooled out 12.6km kilometers for our 5km out-and-back run. But we did the science we wanted, and we got the robot back. Definitely a success. I was delighted to receive an aerial photograph of SIMPLE camp recently from Peter Doran. 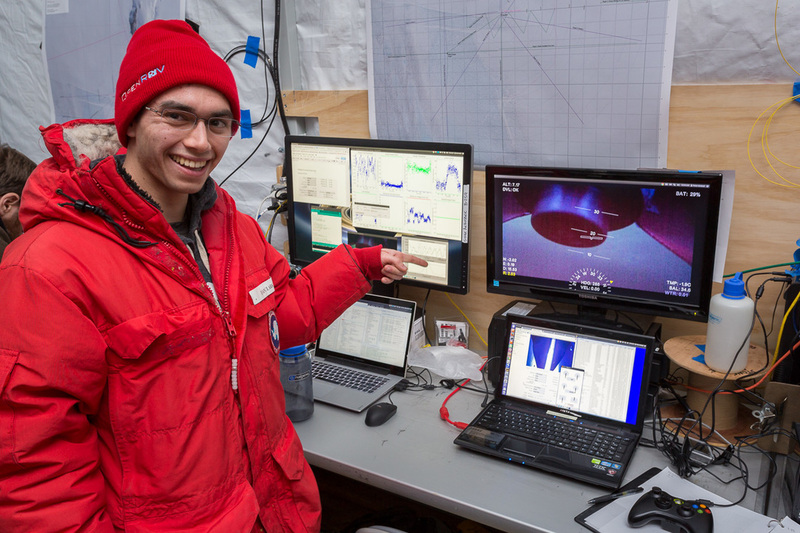 In addition to his work on the SIMPLE project, Peter does research in the dry valleys to the Northwest of McMurdo. He was able to spot SIMPLE camp and take this photo from a USAP helicopter while returning from the dry valleys. The photo shows the big blue bot house, the yellow galley tent, the grid of sleeping tents, two black outhouses, the orange fish hut, and various equipment crates. A Pisten Bully can be seen on parked next to the main generator on the left, while two snow machines are parked at center. The ice shelf transition is barely visible, running close to horizontal through the top half of the frame. Faint vehicle tracks cross from camp up onto the ice shelf through a flagged "stargate", visible as a few dark spots. 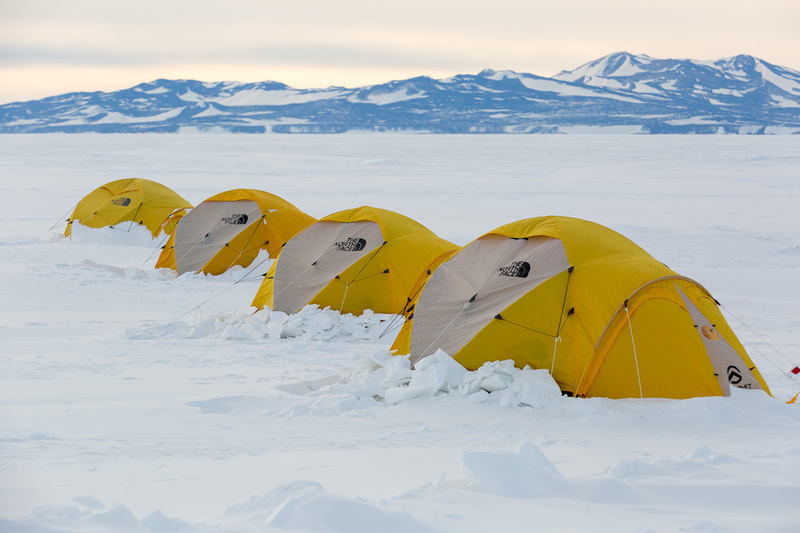 Here are photos of the ice shelf stargate and tent rows that I took a few weeks ago. Well, a crazy work schedule and poor internet connection have made this post rather late. It has been an eventful past few days. Our operations have been smoothing themselves out, and by last Monday, we finally had successfully performed the tests we'd set to say the ARTEMIS was ready to venture out beyond a 1 km radius of the borehole. 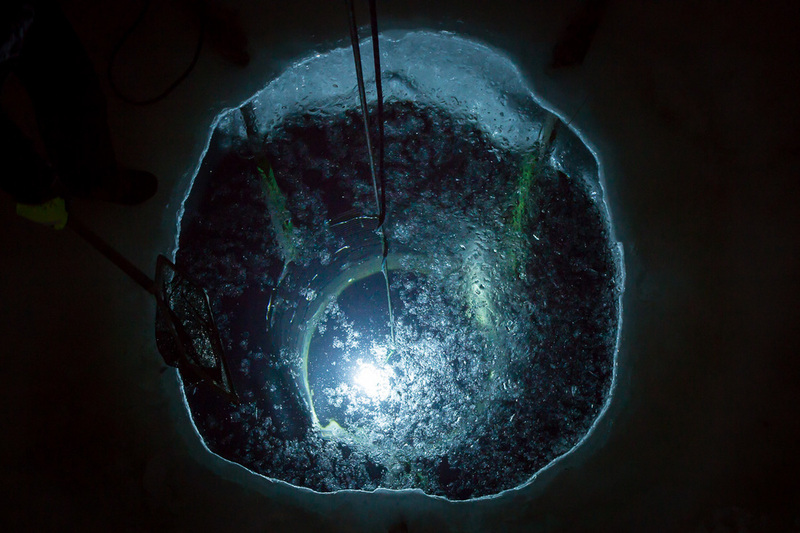 The under-ice environment was scouted, we had worked out the kinks in our launch and recovery operations through the sea ice, figured out how to run long missions and get the desired science and engineering data, and worked through several bugs and issues with sensors and systems in the under-ice environment in the McMurdo Sound. So we decided to make a long run under the sea ice as a rehearsal for under-shelf runs. This way, if anything went wrong, we'd have a chance of getting through the ice to pull ARTEMIS out. And we'd be able to gather some unique data on the sea ice environment to boot. We were fortunate to have Michelle from the PolarTReC program to join us and help document the day (she even helped us out with robot operations and cooked a mean pesto pasta---thanks Michelle!). 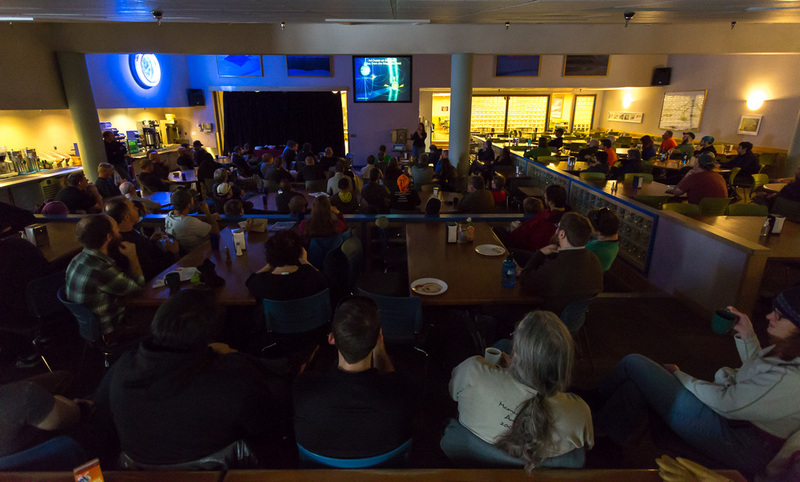 Check out her blog to learn more about PolarTReC and Michelle's journalling on the impacts humans are having on Antarctica. Launch and mission initialization went quite well. We began the long transect under the sea ice north of the bot house. Everything going quite smoothly, but we detected that ARTEMIS was not controlling its trajectory as well as it had been on previous missions---likely due to the removal of some ballast weight to ensure it would float up against the ice ceiling in case something went wrong and some last minute tweaking on the vehicle hull to try to reduce drag. I attempted to send some commands to adjust parameters in the vehicle control system, and inadvertently triggered a previously-undiscovered bug that ultimately resulted in voltage spikes on the power system, bringing down the main vehicle processors. We were able to receive data from vehicle subsystems (cameras and the like), but could not get the main processor to respond, leaving ARTEMIS without a way to gather navigation information or actuate the thrusters. 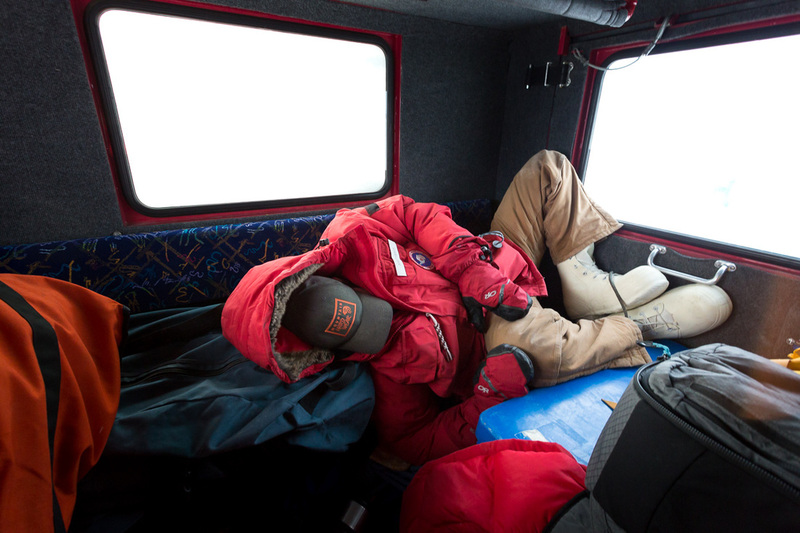 However, we had a back-up plan in place for precisely such an occasion: we were intentionally under the thinner sea ice (still 4 m thick), and had Mel and the reed drill, as well as the McMurdo divers Rob and Steve on standby. Brian was out tracking the vehicle and was able to quickly localize the magnetic beacon when it came on in emergency mode, and we hand-drilled a small hole to put a camera down and found ARTEMIS only a few meters away. Mel was soon on the scene and drilled out an access hole, and soon after Rob went in with a safety line and hooked ARTEMIS. 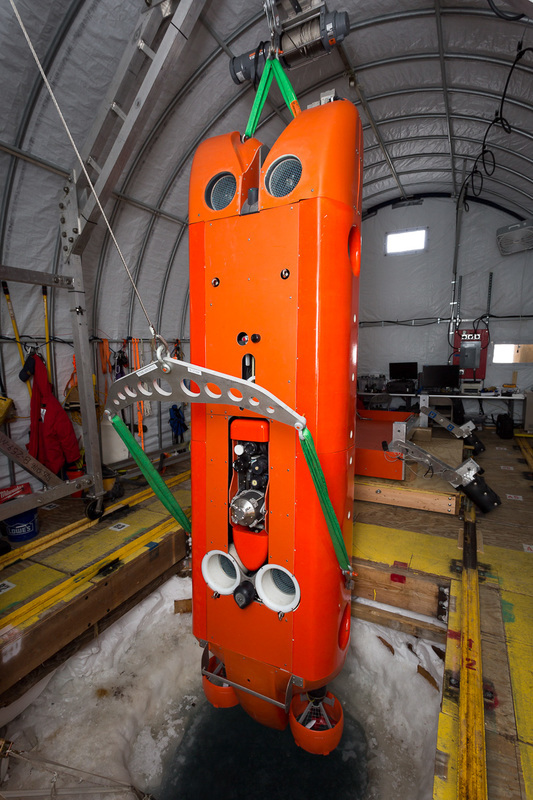 In a surprisingly short amount of time (only a few hours), ARTEMIS went from being stranded under the ice to back warm and safe in the bot house. 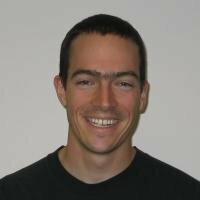 The bug that triggered the power fault was fixed, and several other improvements to the system identified. We will need one more run on our safety line to validate these fixes, but then are aiming for the ice shelf, which is too thick for anyone to drill through and rescue the vehicle. But that is what we came here for: to explore the unknown.